For years, I avoided powders like the plague because no matter how many I tried, they just looked flat and cakey on my skin and basically aged me. I have very dry skin so I don't need to use a powder to set my foundation and used setting sprays for years (still do) but I do sometimes think that a powder can really make the base look more polished. To my surprise, I have really fallen in love with some powders and they are now regulars in my routine & I want to share them with you today. The ones that kicked it all off were the Hourglass powders. So many people raved about these powders but because they are so expensive and because of my history with powders, I was reluctant to splurge but then I received the Ambient Lighting Edit for my birthday and there are three mini powders in there. These are described as finishing powders, rather than setting powders and my two favourites are Dim Light and Diffused Light. Dim Light blurs my pores and adds a little bit of glow but there is no discoball effect - I basically just look healthier when I use this. Diffused Light is yellow toned, but nothing too scary! It tones down redness, so it is perfect to use over concealer on blemishes or just for general inflammation. Both of these are contained in the new Lighting Edit palette, which is available here. Too Faced Born This Way Setting Loose Powder has been a revelation for me, because I can use it all over my face and it doesn't dry my skin out at all. In fact, if anything, my skin looks plump and smooth when I use it, which I can only attribute to the hyaluronic acid it contains. This blurs the appearance of pores and fine lines and it doesn't go cakey or settle into lines no matter how long I wear it. There is also a lot of product in this tub and it has a plastic protector over the dispenser to prevent waste. Charlotte Tilbury Airbrush Flawless Finish Powder is oh so dreamy! 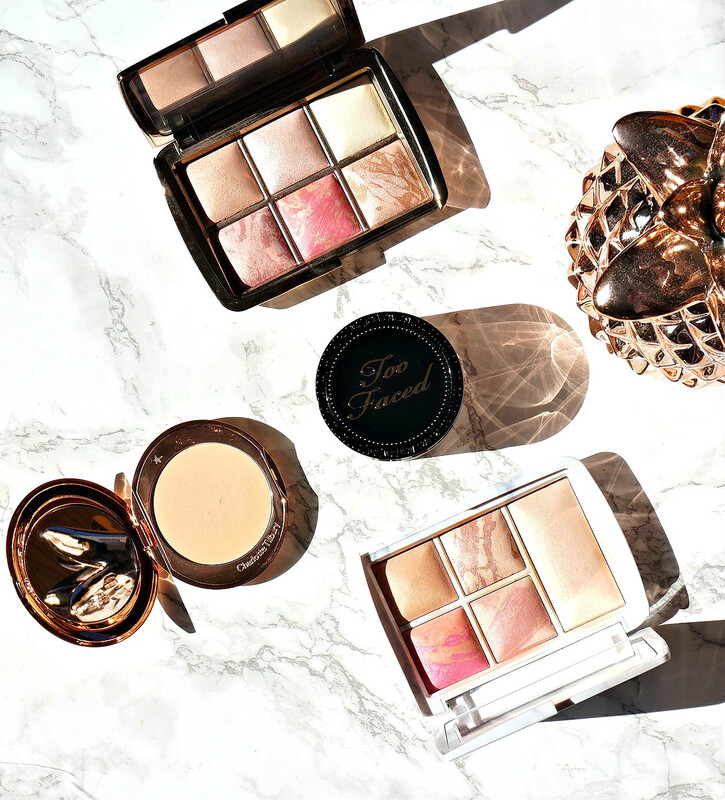 As with all Charlotte Tilbury products, the gold packaging screams luxury and, fortunately, the product inside is equally as beautiful. This blurs pores and sets my makeup, by toning down the glow but it isn't completely flat matte. I don't need to repowder at all throughout the day when I use this and the "airbrush" effect stays the same. It is pricey, but definitely worth it. Have you tried any of these powders? Are you a powder lover or hater? I'd love to hear in the comments below!